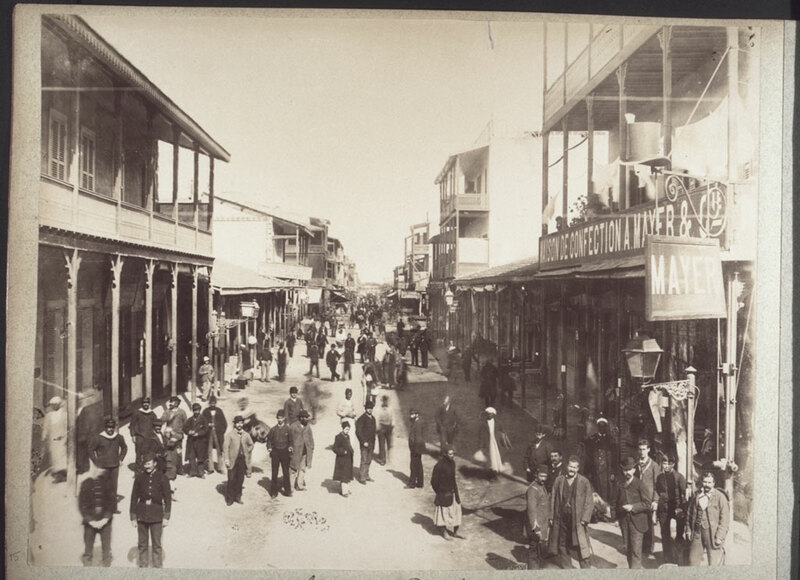 [English: Street in Port Said.]" "[original caption] Strasse von Port Said." Title: "Street in Port Said." Arnoux, Hippolyte, %Port Said, %%Egypt , “Street in Port Said.,” BMArchives, accessed April 19, 2019, http://www.bmarchives.org/items/show/78702.